Commanders! Our next round of Balance changes will be coming with our 3.1 update. This time, we chose to focus on Mods, making the more overpowered ones more in line with the rest of the Mods available, while still maintaining their strength and utility, and also bringing up the power or usability of some under utilized Mods, making them more of a worthy challenge. Additionally, we are making some improvements to the descriptions of Bots and their Attacks to better reflect their abilities. NOTE: These changes have not altered the Bots or their abilities in any way, but only more clearly communicates their abilities, or fixes misleading descriptions. These Balance updates will be activated on September 13th, with the drop of our 3.1 Update. Unfortunately, we are going to be delaying the Launch of Version 3.1. This means that these adjustments will be delayed as well. We'll let you know more as we get more details, and have a new estimate on the release of Version 3.1. Hallelujah, Harm Accelerator got fixed! Yes! And we realize that this maybe wasn't exactly the adjustment you guys were hoping for with Harm Accelerator, but we didn't want to remove its usability completely, and will also continue to monitor its performance to ensure that the adjustment we made does indeed achieve the goal. I thought Security Module was already pretty vanilla; didn't see the need to add more vanilla to it by removing the armor debuff purifier. Please turn your attention to the laser guidance mod next. Megaton with this mod is almost impossible to beat. One wrong move and you lose about half your health. I've always felt this was the most broken part of HA from the first time I encountered one. The conflict between baiting attacks to avoid SP3 and not wanting them to special because you would take additional bleed stacks made no sense. Literally the only way around it was full on bleed protection. And that's one of things we wanted to avoid. 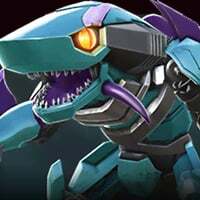 So, MV1 and Grimlock will still be great against Harm Accelerator, but not the only viable options. Definitely will make sure it's added to the Team's list of things to watch! Laser mod is fine. HA's can't be dodged, lasers can. Well, I'm an idiot. There is an update for Laser Guidance Module, but I neglected to add it. Which I should have seen because I thought there was an adjustment coming for it as well. I've added it now. I really think nerfing laser mod is a mistake. It's a mod that you can take no damage on; you just need skill. That's why players put on their base. I'm not gonna lie, the changes made to HA were needed, but the Laser mod changes are disappointing. Are we just going to give everybody participation trophies now? I'm sorry but Arcee's evade is permanent, you can't avoid or play around it. Triggering on specials is not fair, and it's overpowered. 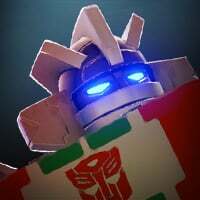 Sideswipe and Barricade are temporary and you can wait for the timer to expire, at least a player can try to avoid it. Arcee you can't do anything, rendering some character specials useless. To be honest, it looks like it wasn't possible to fix Arcee so instead we're just changing the text to match what's happening in game. The HA change was one of the suggestions the community made, it's good to see and makes it a bit more fair. Skill now allows you to take less damage. Skill based anything is good to have. For LG I don't understand the difference between scaling percentage and flat percentage? Can that be explained? And depending on the additional X damage, it could make basic range attacks do even more damage than before. I'll get more information on the Laser Guidance changes, but it will NOT be more powerful. As for Arcee, this was always the way she was intended to work. We're just clearing that up now. As for her being able to evade those specials... Well, frankly, some Bots are just better against others. Choosing the right Bot for the job is an important part of the game! Personally I think evade triggering at the start of a Special or when it was blocked (for multi part Specials) is fair game, but can we at least not having them triggered after a Special has already hit? We can't even evade a Special if it already landed the first hit, why should Evade ability be treated differently? Agree completely. Bring the other mods up, fix matchmaking, and you should be good to go. Don't need to dumb things down or raiding just becomes a grind because there is no difficulty. you have never face a 1500 duped Megatron on a 3-4* range mod.. you will cry tears even from his basic range attacks! Once he gets enough of those impair charges on u (like just 10-20).. one heavy attack can instant KO u with the range mod on!!! So pleaseee this is a good change!! Thank you Kabam for doing this!! And btw, I've used my 1400 Mirage 3* duped vs the above before.. He will still die in a short time with just 1-2 mistakes. My Ironhide 4* duped 1800 PI has also lost to a lower PI megatron due to this setup too. 2* range mods are still bearable but not when it's a duped 3* or 4* range mod.. Its capabilities are terrifying. In the past it was Waspinator which was still sort of ok.. but not with launch of Megatron + his unstoppable.. makes it much harder to anticipate and avoid. Looks good to me from the point of an attacker, even though it's now going to be even more impossible to defend your base. I still think the raid system has a long way to go, but at least you make steps in the right direction. Hmm, I have the game's strongest MT on a maxed out 3* laser mod and people get through him all the time. Frankly, I don't care if people get by my base, but it is a point of contention because it shows that people who are skilled can work their way by MT+laser with ease. Laser mod is and always has been the most fun mod for me to go up against, primarily because it was challenging. It was never about bringing a bot that counters it completely (like MV1 with HA), and it isn't about just doing some tedious thing in order to get by it easily like most of the other mods. Definitely bummed that it is getting changed... especially the speed aspect of it, because that is what made it so fun and intense. The only similar experience now is Starscream mini in AM. I fully understand that this game needs to be accessible to people who are just starting out, but to me, the answer is bringing up all the other mods to a comparable position, and working on matchmaking so that weaker opponents aren't commonly matched up against bases they have no shot at beating. Agree, I just encountered this in a raid. Normally my maxed out Mirage can put a real hurt on Megatron, but with LGM, just his heavies annihilated Mirage. So basically, make everything weaker for those players already invested in the game for a longer time (and money wise) so that the new, [removed by moderation] can feel good about themselves and advance? Great Job Kabam. @Dircules makes a good point. At least it's on the last day of AMs but pretty much all your updates have created new issues/bugs. We don't want another messed up AM on our hands. Pushing it off one more day could be better for everyone.